While the first front in the world of mobile phones is taken by the large manufacturers, like Samsung and Apple, the second front belongs to the carriers. They are the biggest distributors of mobile devices to customers and the ones that battle to provide the latest technological infrastructure for their clients like 4G LTE speeds. So in this battle one of the biggest players in the US, AT&T, decided to acquire Cricket, originally known as Leap Wireless, a US carrier with a substantial amount of customers and a highly developed 4G LTE infrastructure. The other major carriers in the US: Sprint, Verizon and T-Mobile have also made impressive acquisitions and upgrades, in an attempt to win as much clients as possible. 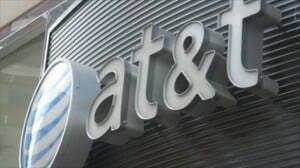 If AT&T manages to finalize the deal to buy Cricket, they are looking at nearly 5 million prepaid customers to take in. This is a big win especially with the latest trends towards prepaid subscription. Cricket also benefices from a highly developed LTE infrastructure that already covers 21 million people, with the company’s CEO stating that 60% are not even utilized at the moment. With this move AT&T could really gain a nice advantage against the competition, however they still have to deal with the authorities that are against this purchase. If they manage to convince them that this will not affect consumers nor will cause an increase in prices, then it’s a done deal.